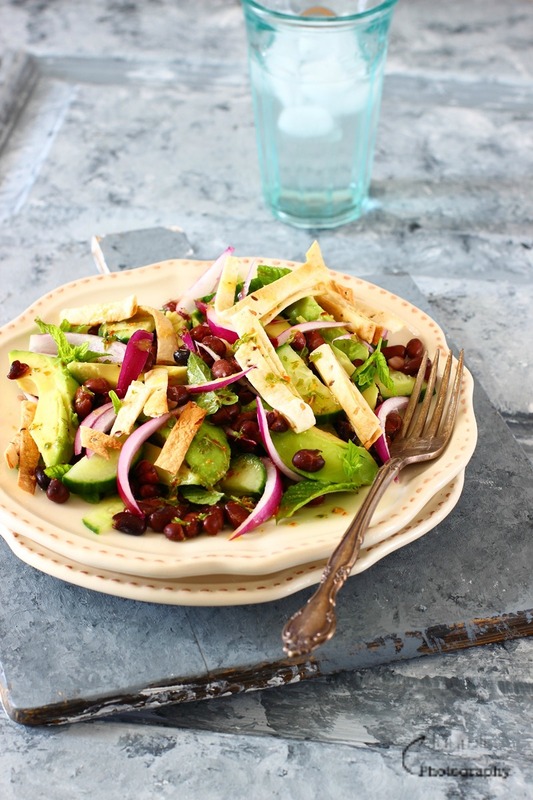 Avocado, Black Beans and Tortilla Salad is a powerhouse of goodness and so so delicious ! It's just a big dose of health in a bowl. It is obvious that during beautiful warm and summery days you can catch up on laziness, as summer is the perfect time to wind down. Mostly summer activities are generally relaxing. When we get outside and soak in the sun and get fresh air, I try to keep things simple and easy for lunch. 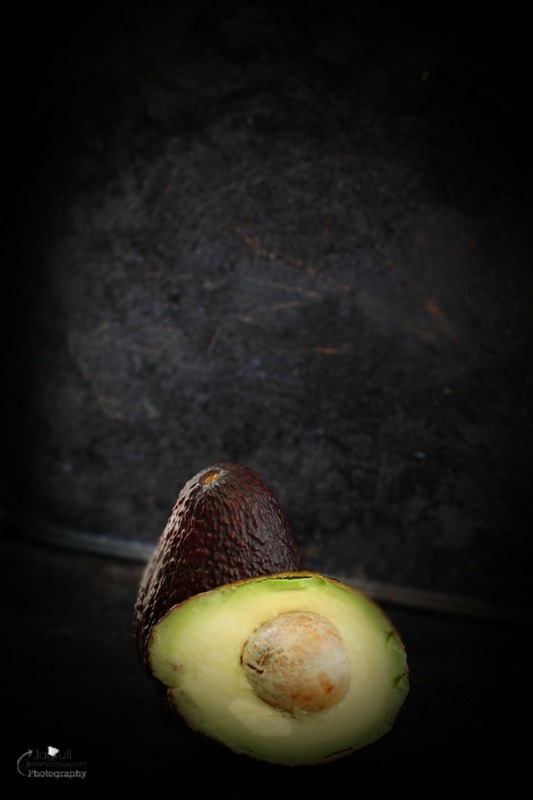 Few days back I prepared Avocado, Black Beans and Tortilla salad, this recipe blends the sweet spiciness of mild red chilli with the mellow flavour of avocado for a delicious combination and offers a tasty and healthy options to suit all palates. 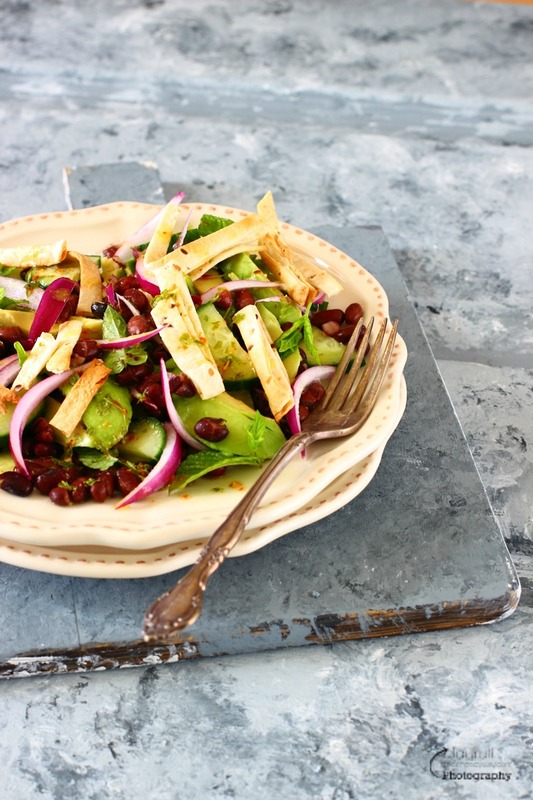 Black beans provide protein and toasted crispy tortilla strips lends crunch. 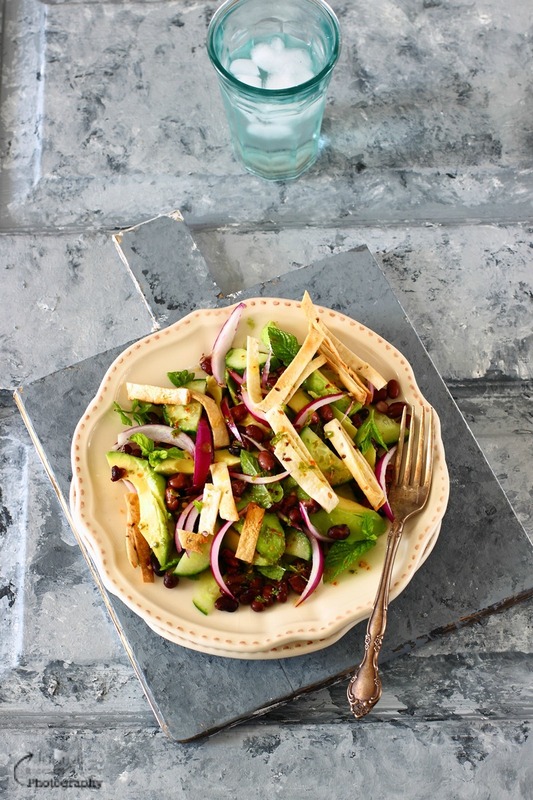 This delicious combination is a great new addition to our summer salad menu. It is healthy, filling, tasty and fresh !!! Preheat the oven to gas mark 6-7. Brush evenly very little oil onto tortillas. Cut the tortilla using clean kitchen scissor into 0.5 cm wide strips. Scatter onto a baking sheet and bake for 5-6 minutes or until light brown. Meanwhile prepare dressing by blending oil, lime juice, chilli and most of the mint leaves in a blender. Toss with the avocado, black beans , cucumber and red onion. Check seasoning and add salt and black pepper. Spoon onto a serving plate, and sprinkle over the reserved mint . Scatter with the crispy tortilla strips and serve straight away.Enjoy ! Summer is definitely salad time. This is my kind of salad. 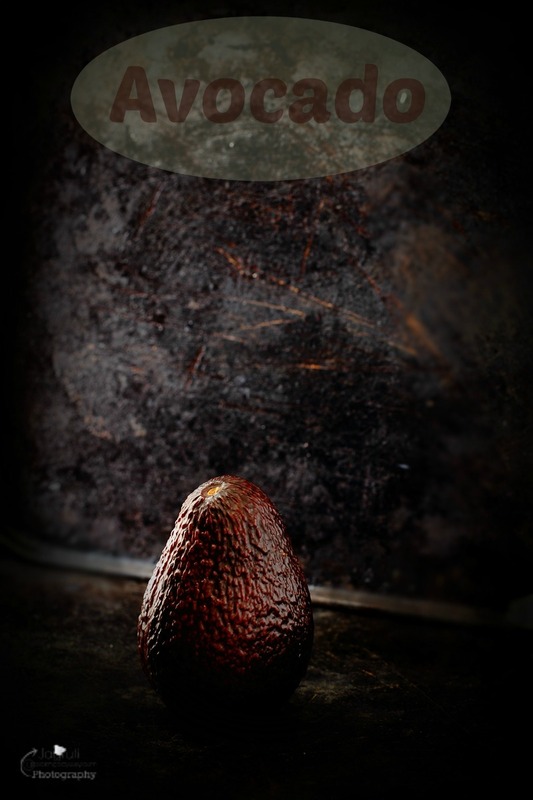 I love your photos of the avocado. Love a nice light salad. 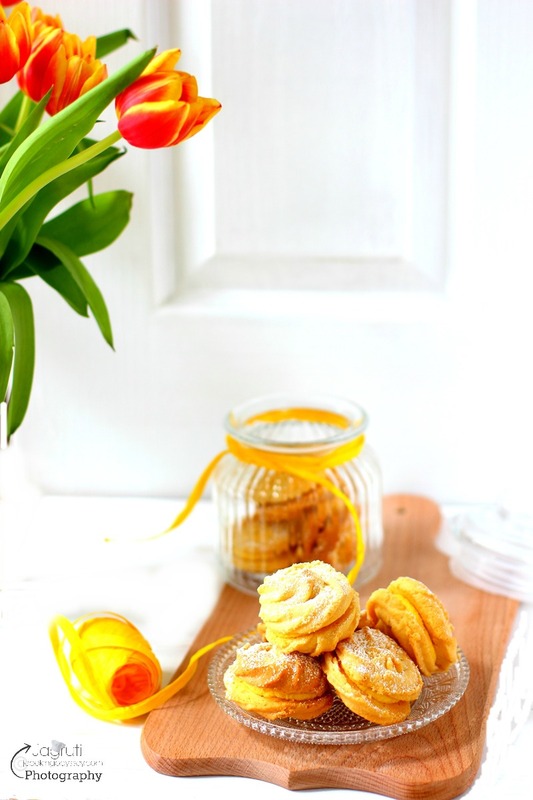 This looks delicious and your photos are perfect! This is the perfect Summer recipe! so fresh and pretty – and healthy too. What a lovely recipe. 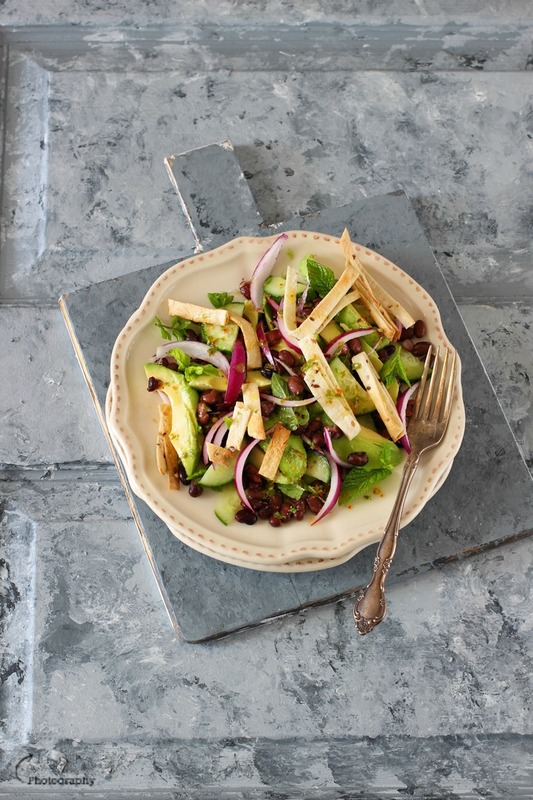 Oooooooo your salad is defo a lazy day summer salad packed full of goodness. I want to drop everything and make a huge bowl full now.